Arctostaphylos 'Emerald Carpet' (Carpet Manzanita) - A low-growing shrub 10 to 16 inches tall and spreading to 3-6 feet wide. It is a very compact and dense plant with small glossy deep green leaves that nearly hide the attractive cinnamon red stems with exfoliating bark. Small white flowers appear in mid-winter through spring and are followed by red fruit - flowering is somewhat sparse on this cultivar but its attractive form and foliage makes up for this. This manzanita grows best in a rich, slightly acid and loamy well-draining soil. Requires occasional irrigation in southern California gardens. 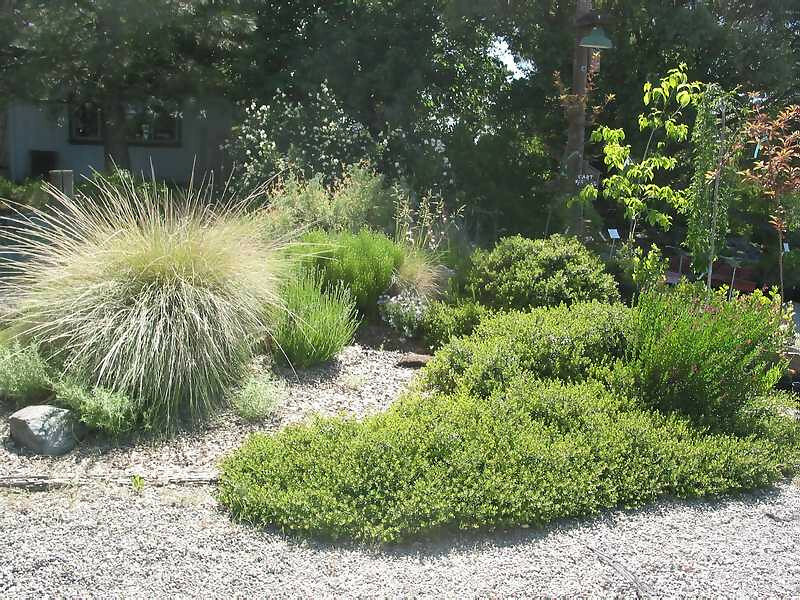 Hardy to about 15-20 degrees F. Good as a groundcover between a lawn and more drought tolerant plants or as a non-walkable lawn substitute.